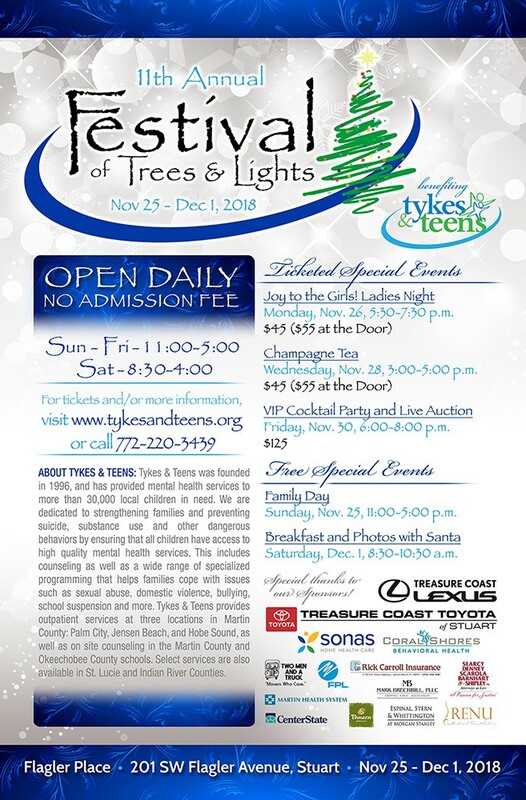 Stuart, FL, Nov. 12, 2018- More than 70 decorated trees, wreaths and holiday centerpieces will dazzle visitors at the 11th Annual Tykes & Teens Festival of Trees & Lights from November 25th-December 1st. The popular week-long event attracted more than 3,000 attendees last year and has become the premier holiday kickoff event in Martin County. The Festival will take place at Flagler Place, located at 201 SW Flagler Avenue in downtown Stuart and will be open daily with no admission fee Sunday through Friday from 11:00 a.m. until 5:00 p.m., and Saturday from 8:30 a.m. until 4:00 p.m. Ticketed special events include Joy to the Girls! Ladies Night on Monday, November 26th, Afternoon Champagne Tea on Wednesday, November 28th and a VIP Cocktail Party and Live Auction on Friday, November 30th. Free events include Family Day on Sunday, November 25th featuring complimentary refreshments and a performance by the Seawind Elementary School chorus, and Breakfast and Photos with Santa on Saturday, December 1st from 8:30 a.m. until 10:30 a.m. Arrive by 8:15 to greet Santa and Mrs. Claus as they arrive on a City of Stuart Fire Rescue truck! 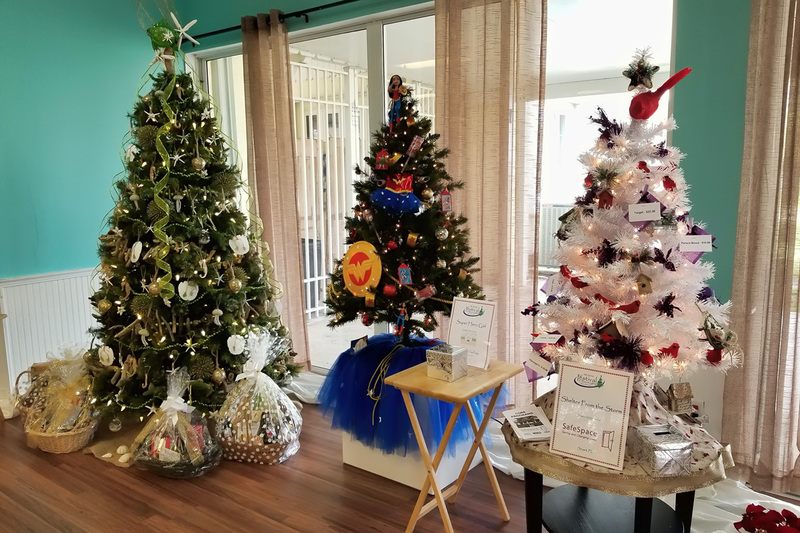 Raffle tickets will be available for a chance to win your favorite tree, wreath or centerpiece, with select items available for bidding in a silent auction. Artwork created by children undergoing treatment at Tykes & Teens will also be available to purchase for a donation. All proceeds benefit Tykes & Teens mental health counseling, education, and prevention services that are provided across 4 counties to more than 7,000 local youth annually. Funds raised at this event help ensure that these critical mental health services are available to all children in need, with counseling offered on a sliding scale that begins at only $3.00 per session. Tykes & Teens believes that Mental Health Matters Every Day, not just when tragedy strikes. Event sponsors include Treasure Coast Lexus and Treasure Coast Toyota of Stuart, Sonas Home Health Care, Coral Shores Behavioral Health, Two Men & a Truck, Rick Carroll Insurance, Centerstate Bank, Searcy Denney Scarola Barnhart & Shipley PA, Martin Health System, Mark Brechbill, LLC, CPA, Bart's Blue Star Foundation, Espinal, Stern & Whittington at Morgan Stanley, Renu Medical Aesthetics, Florida Power & Light, Bank of America, Elliot Paul & Co, McCarthy Summers Bobko Wood Norman Bass & Melby, PA, Dr. Brian Moriarty- Loving Chiropractic, Bolder Barre & Fitness and the Wolcott Family Foundation, Paul J. Feinsinger, CPA, Hog Technologies, Caler Donten Levine Cohen Porter & Veil, PA, Panera Bread, Colorado Pawn & Jewelry, Aardvark Creative, Gumbo Limbo Kidz, Main Sail, Acacia Lodge, Wallace Auto Group, Encompass Health and Panera Bread. Brando and Carlin Kreps of Stuart enjoy a visit with Santa & Mrs. Claus at the 2017 Festival of Trees & Lights. 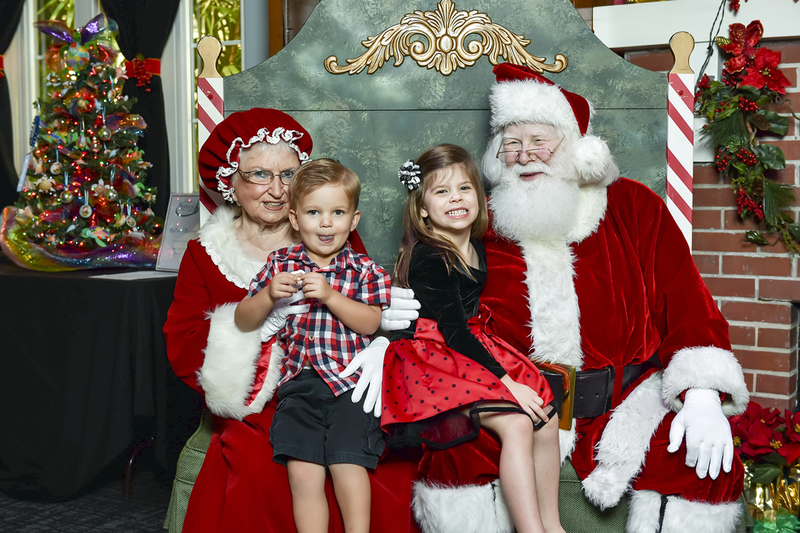 This year’s free Breakfast and Photos with Santa event will be held on Saturday, Dec. 1st from 8:30-10:30 a.m.